Freddy Silva is one of the world's foremost experts on crop circles, and best-selling author of Secrets in the Fields: The Science and Mysticism of Crop Circles, hailed by many as the most comprehensive book ever written on this fascinating and multi-disciplinary phenomenon. 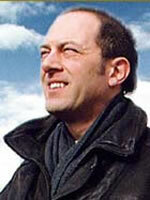 He is an international lecturer, and a life-long student of Earth Mysteries and ancient systems of knowledge. Freddy has appeared in TV documentaries for The History Channel and Discovery Channel, as well as numerous video documentaries, and guest on radio shows throughout the US. Freddy Silva is a member of the Advisory Board of the Exopolitics Institute.